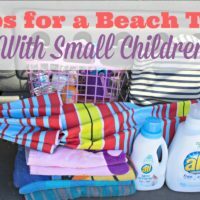 Our family is leaping into spring and all things warmer weather. 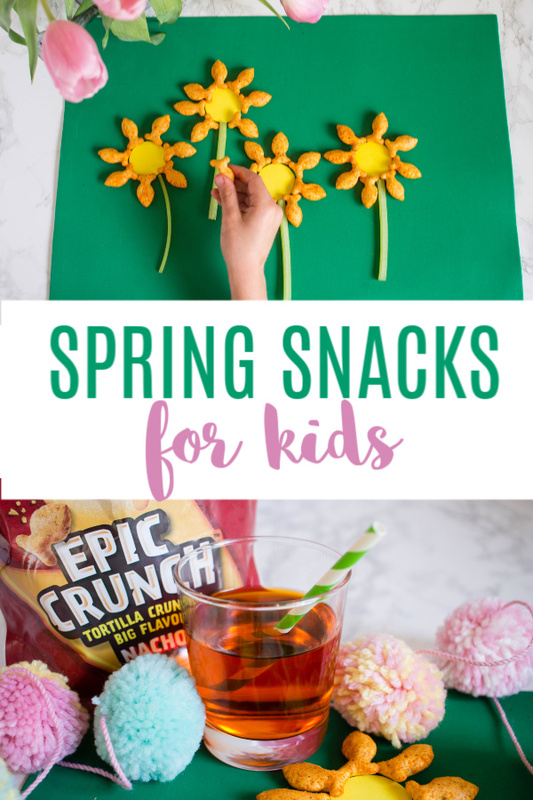 If you can’t get outside to enjoy a warm spring day, you can always bring the season inside with some fun spring snacks for kids! 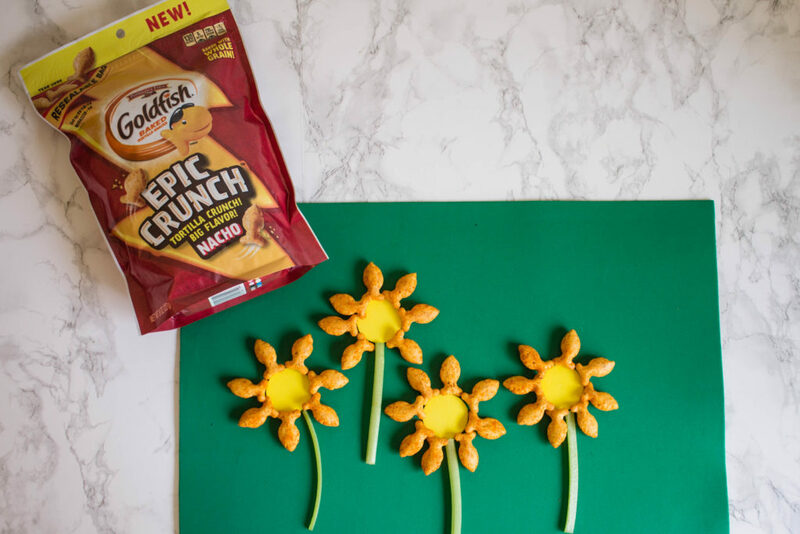 Today’s snacking features our new favorite crackers: Goldfish Epic Crunch. These crackers have bold flavors and a pack a big, tortilla crunch! But don’t worry, these Nacho flavored Goldfish Epic Crunch crackers aren’t spicy. You’ve got to try this new, exciting snack. You and your kids will love the cheesy, zesty Nacho flavor of these Goldfish Epic Crunch! My spring snack designs were inspired by the beautiful flowers that are sprouting up everywhere. 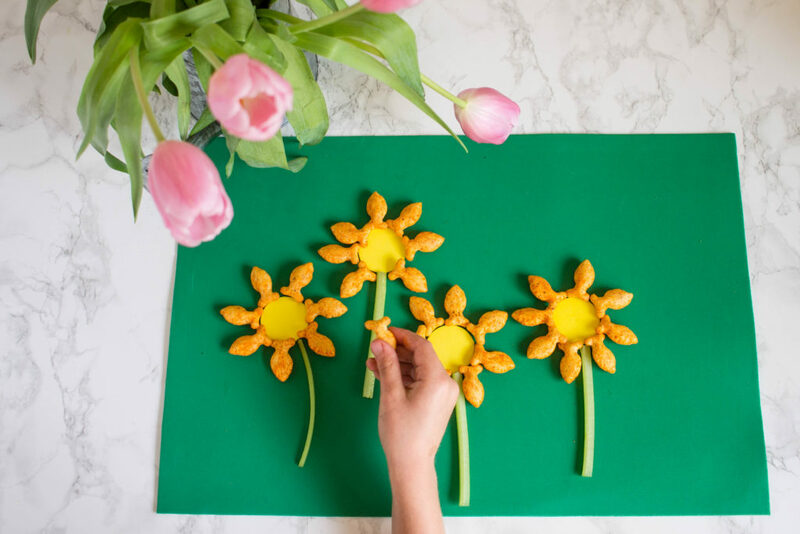 Make your own Goldfish-decorated flowers by cutting out yellow circles from foam craft sheets or construction paper. 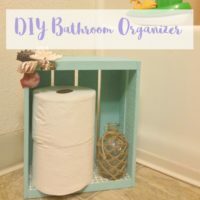 I used a green craft foam sheet for the background. 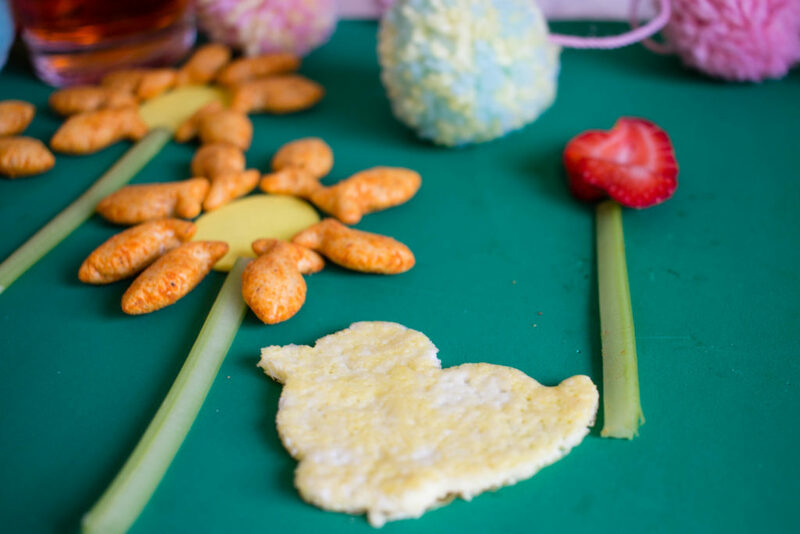 To make the cute sunflower shapes, arrange Goldfish Epic Crunch crackers along the outside of the circle. 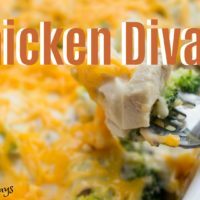 Add a thin slice of celery for a stem. Then watch as your children’s eyes light up at the tasty springtime scene! 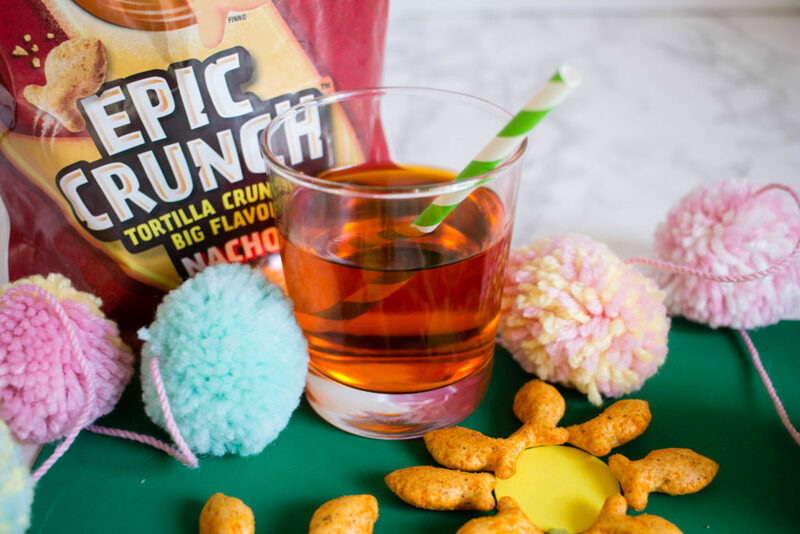 As a mom, I prefer Goldfish Epic Crunch crackers because they’re baked with whole grain and made without using artificial flavors or preservatives. Look for theGoldfish Epic CrunchNacho flavored crackers at your local grocery store. Be sure and also check out some of the other Goldfish Epic Crunchflavors, like Honey BBQ and Ranch. 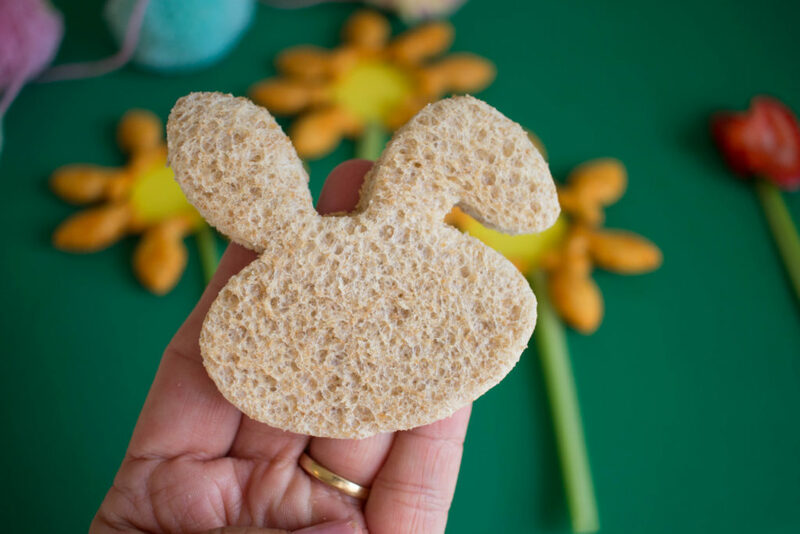 To make additional spring snacks for kids, it helps if you have some cookie cutters in cute Easter or spring shapes. You can make cutouts from almost any food you have in your kitchen. I used some fried eggs to make a little chick and a piece of lightly toasted bread to make a bunny. A thinly-sliced strawberry makes a cute tulip once you add a celery stem to it! I even made a cup of “carrot juice” by adding a few drops of food coloring to a glass of apple juice. My cute little spring snacks were quickly gobbled up. The Goldfish Epic Crunch Nacho flavor crackers were by far the biggest hit. Purchase the Goldfish Epic Crunch Nacho flavor at your local retailer, which you can find here.